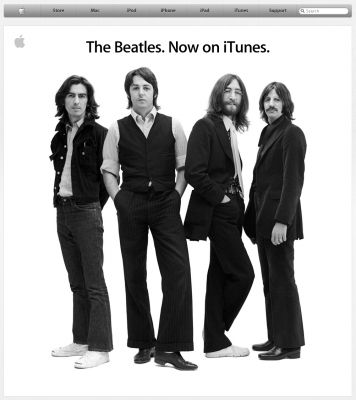 … quoted in today’s press release in which Apple announces the availability of The Beatles on iTunes. At least they only asked him the same thing for seven years. Trust me, it could be worse. Worst as in hearing the question “cuando te casas sobrino?” right after your bar mitzvah?, and don’t stop hearing it until you actually do?